Courtside Cottage B&B stands out from the crowd. Totally refurbished Bed and Breakfast and a warm welcome by hosts Bernie O'Dea and Veronica Doxey. Courtside Cottage presents you with a spacious lounge and double glass doors opening into a fully equipped self-contained kitchen. Ideal for couples or family accommodation. Renowed for welcome hospitality, comfort, delicious breakfasts and leafy tranquil gardens. 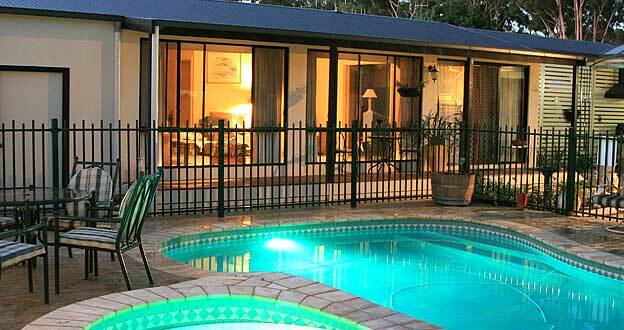 Forlonge Bed & Breakfast is located in the heart of Euroa within easy walking distance to shops, hotels and restaurants. Choose either the King/Spa Suite overlooking the garden or the two-bedroom Conservatory suite with lounge and dinning area. Separate entrances. Off-street parking. AAA Tourism 4½ stars. T-QUAL accredited.